There has been a trend of movement small-scale microbreweries have been gearing towards when it comes to “to-go” vessels. Just wanted to take some time to express some of the benefits and challenges when it comes to transporting your favorite fresh beer from your local brewery. As more and more can seamer equipment has become more relatively affordable, breweries have considered the option to transition from the glass growler vessels to cans. 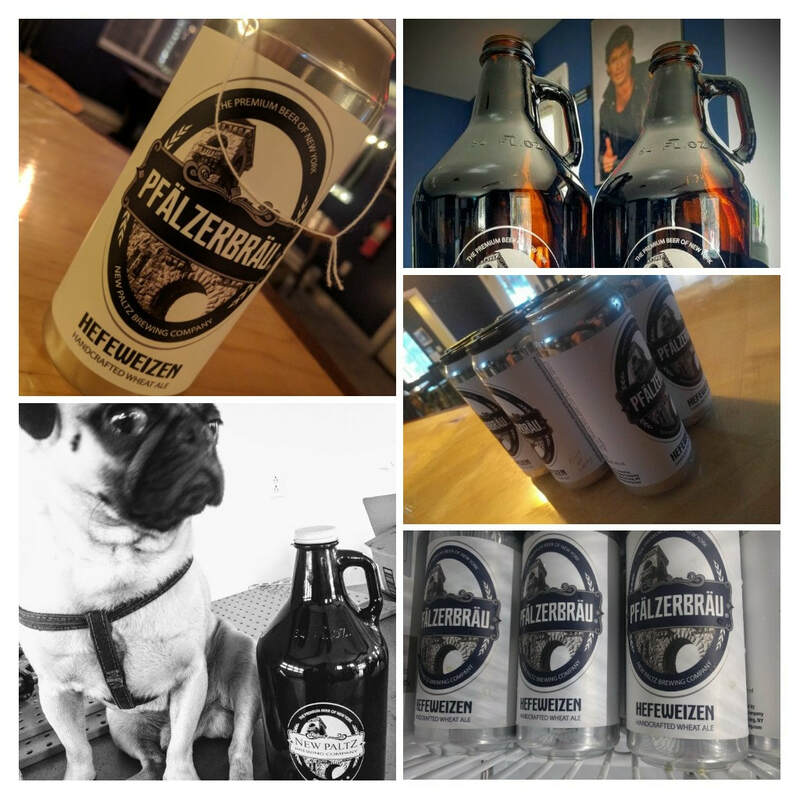 We are moving towards discontinuing sales of new growler containers to now roll-out 16oz cans. (Four cans replace a full 64oz growler). As always, we will continue filling growlers, but those that forget to bring a growler, can readily purchase fresh canned beer "to-go". Less chance of air gap between fill and cap –reduces oxidation –beer stays fresher, longer! Just wanted to share a few thoughts regarding canned beers versus glass growler fills. Feel free to post and share your comments and feedback. Prost! 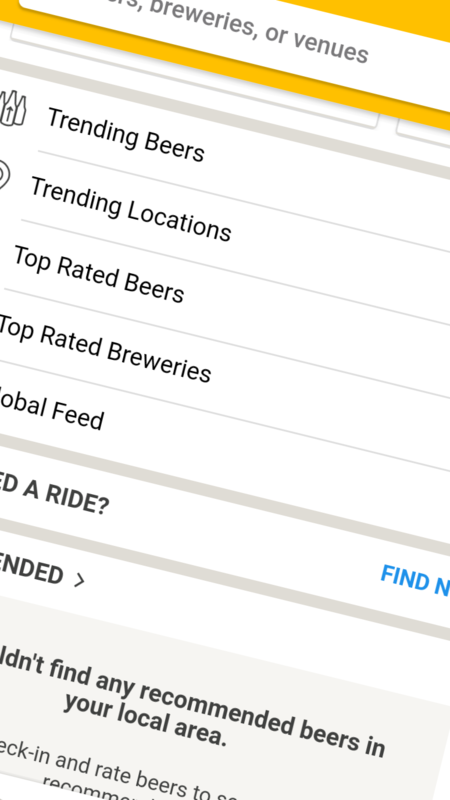 ​An idiots guide to giving beer ratings using social media. (From a beer brewer’s perspective). OK, as much as we (as brewers) love our beer to get sampled, there seems a magnitude of inconsistency in beer ratings across the board for as much as 85% of all beer ratings performed. I am talking about “cool hipster” users on social media applications (I.e. Untapped, and similar). For those that love giving ratings here are some examples that I feel should be followed in effort to fill in the gap of feedback value brewers and breweries are most likely seeking when you write your rating. Don’t write your beer rating just as your drunk or buzzed. You can make a fool of yourself as well as others, or give more or less value to a beer rating then you really were if not intoxicated. Please just don’t do that. Take a photo of a label or something to remind you to do your rating at a later time when your sober. Or revisit the beer to give an appropriate rating. If you go on a beer brewery tour, and a brewer/tour guide gives you a shot sample of how a beer tastes while in production, that is not a finished product –you can’t rate a beer while it is still in production. You should be honored they gave you an in-production sample. Doesn’t make any sense. Give constructive feedback notes as to what you taste. Even if you don’t like the beer, it really helps a brewer know if consumers are receptive to the taste in the beer the brewer may or may not have intended. If your not experienced enough of knowing how a particular style should taste like, perhaps refrain or postpone from giving a numerical rating of the beer. As a brewer, there are times where I need to sample many of the same styles all at once to know where numerically beers fall in rating; am not sure how ratings can be randomly justified unless tasting many of the same styles at a similar session? If your not a fan of a particular style, don't just rate a beer as low because you personally just hate that style. Am personally not a fan of stouts. I am not into too much dark malty beers, but there are many people that truly are big fans. I can't justify placing a low rating on a beer because I personally don't love that style, it is a style for others -therefore I would have to refrain from a numerical rating since I can't objectively (in all fairness) value it. Don’t let brewery marketing and media alter your actual rating of a beer. This rating platform should not be a popularity contest to impress or help you make new friends just because a beer is well marketed. What is your experience of tasting the beer? Be honest, professional –bashing to be popular with your friends can simply just make yourself look like an idiot. Can probably go on and on...these were just a few thoughts off the top of my head, feel free to post comments below. Although a brewery can’t please everyone’s pallet; constructive criticism and feedback are typically taken seriously. Please be mindful that you can also take steps in helping local breweries make amazing craft brews and solidify opportunities to make locally made beer taste even better in the future. 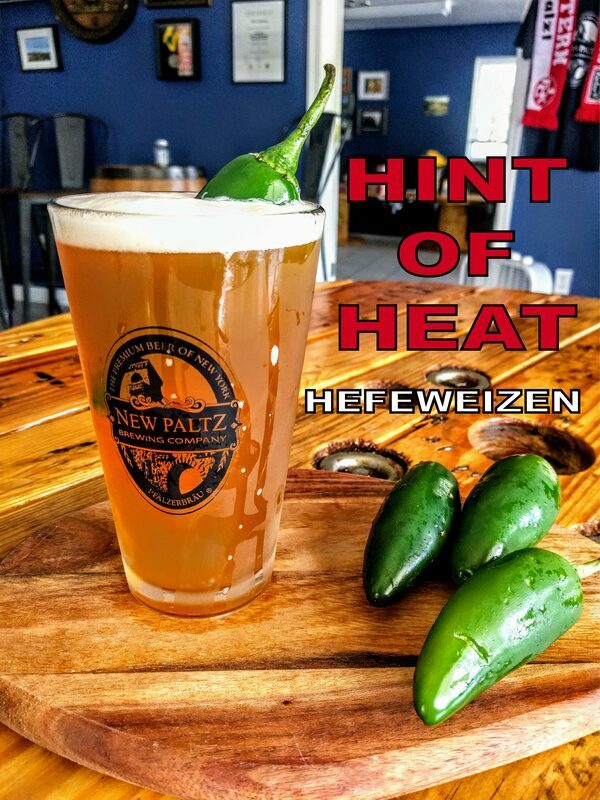 ​For craft beer enthusiasts and true connoisseurs of the Traditional German Hefeweizen style beer, now here is an amazing new beer that has originated by the creative folks at New Paltz Brewing Co. (Pfälzerbräu). So here is a typical Hefeweizen style beer that incorporates a hint of fresh pepper heat. Habaneros and Jalapeños are incorporated in this style. As unique as it may sound, this style is gaining fast attention. Since only a controlled hint of the pepper is in this beer, it demonstrates a true beer drinking experience. A quality beer should take you on a journey from start to finish, and this beer does just that. If properly poured, the aromas of the traditional Hefeweizen yeast bring out a fruity character of bananas and clove. A slight fresh pepper comes through, not to burn you up as you would if you cut your own from your pepper garden and ate a whole pepper. Remember, this is just a hint. The light fresh pepper smell is amazing coming through at the nose. Now comes a first sip. You may get a slight twang to your lips –that goes away. There is a cooling sensation from the properly made Hefeweizen as a solid base to the beer, but then comes a very subtle burn to the back of your throat. That confirms the true pepper taste. Now this burn immediately contrasts with the sweet Hefeweizen base with every sip. The balance of this beer is extremely well crafted, calibrated and executed. This is definitely a beer that can perfectly be enjoyed in the hot summer day as well in the cold winter months to warm you up. Don’t underestimate the alcohol content. Be careful. You can easily drink a few of these, and at a 5.6% ABV the alcohol content also adds to the experience. That is a standard proper ABV for this style of beer. Enjoy responsibly. In effort to keep from long lines and the small taproom space from filling up, I actually hate to write this article and tell people about this hole-in-the-wall brewery; but the brewery deserves every bit of attention on the New York Beer Trail Map for the most serious craft beer connoisseur. After opening taproom doors just over two years ago, I have yet to taste a beer from this German themed brewery I won’t like. The proof in the six hanging medals on their wall says it all. 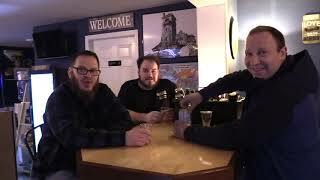 Since getting established, I have watched this up and coming brewery make a big impact that seems to catch the attention of other breweries scrambling to out compete and brew up the next “big thing”, and you may ask how? In an era of hoppy bitter beers, this brewery has yet to have more than two hoppy beers on their menu. Nothing seems more than one Pale Ale style beer at a time. The rest of the beer menu is filled with Lager style beers, like a well-made handcrafted Oktoberfest Lager, or a delicious dark, malty true-to style Bock beer. A friend of mine introduced me to them as they started as one of the very few breweries in New York State that can make a pretty good example of a true-to-style Hefeweizen, which originates as a German wheat style ale. It is a rare style of beer that only a handful of breweries in the world can artfully master. This style is of the most complicated beers to brew. And this small gem of a brewery hits it on the head. The traditional Hefeweizen beer is the opposite in bitterness as compared to an IPA. This beer style focuses less on hoppy aromas, but more on the special delicate yeast that speaks out a pronounced taste. The yeast esters bring out a banana and clove flavor, something I catch many breweries typically fall short on. The Pfälzerbräu Brewery (named after “Brewery of the Pfalz” region in Germany) started as two brothers Jeffrey and Heiko Giesberg; they are first born Americans from German parent immigrants and Holocaust survivors. They wanted to bring the experience of what a fresh handcrafted German beer tastes like without having to travel overseas. The Southern Catskill Region of New York seemed the perfect location. 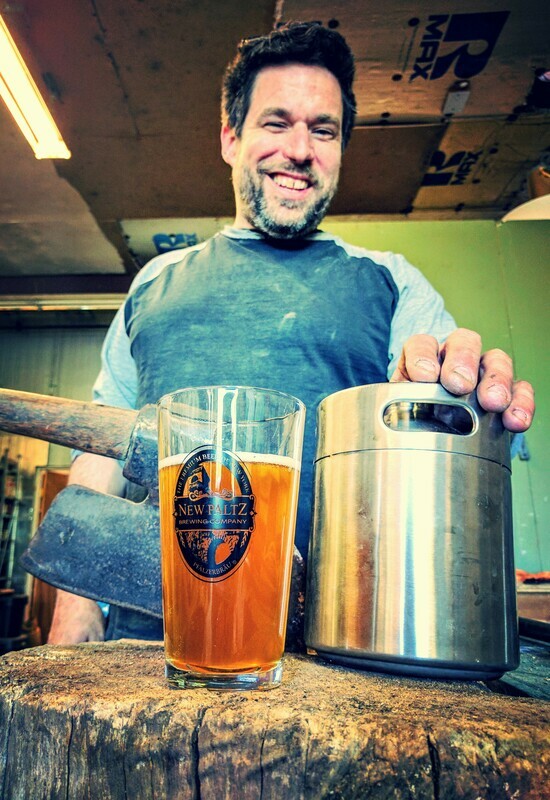 Heiko went back directly to Germany to expand learning formal commercial brewing techniques. This brewery self-focuses and demonstrates their passion in every beer they make. I see this brewery breaking into more and more attention in the underground beer scene. This past Christmas Holiday season 2018, I finally had another chance to visit the New Paltz Brewing Co. with my companion. The taproom was filled with local and international tourists visiting. As for beer, not only did they have a traditional style Hefeweizen, they had two more renditions of that style. 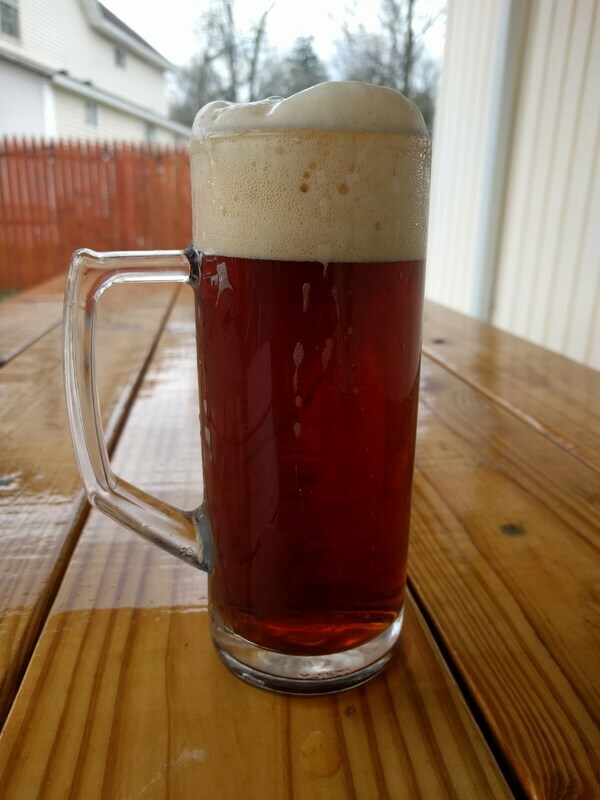 A classical Rauchweizen, which is a rare-to-find smoked tasting version of the Hefeweizen. Smoked grains are incorporated to balance off a fruity banana/clove tasting beer. Sounds odd? But it blends very well in taste. How about trying a hint of pepper? The aromas are amazing in their Hint of Heat Hefeweizen. A balance of habaneros and jalapeños that at first, sounded to immediately want to turn me away, as I hate most any slight spicy food. This beer is just that, a hint of heat. A very drinkable beer that is not that spicy at all. It gives way to a true value of beer, which gives you a drinking experience that incorporates a slight pepper heat with the typical Hefeweizen banana and clove. After waiting almost an hour, I could see why so many customers were in line for cans of this specialty beer to bring home for their holiday dinners. The brewery taproom is not in the actual town of New Paltz, so don’t bother sitting in that downtown traffic to get to this brewery. The brewery can’t even meet demand for much outside sales at bottle shops and restaurants. You will have only one choice, but to go and try them in-person. They are located on Route 209 in the town of Wawarsing, NY by Ellenville. This is the same historical town that the famous Nevele resort attracted many families to enjoy vacationing at. If you love mountain biking at the popular Lippman Park, or want a great family excursion to check out the hiking trails, waterfalls and Sam’s Point mountainous views, you will want to make this true craft brewery a definite go-to hot spot. Check for taproom visiting hours on social media before trekking out, as they are a family-type business. Written by Jeremy Moore; Jan 2019. Jeremy is an avid researcher, writer and blogger of international craft beer. For over 30 years, Jeremy has toured and written on artistic and historical handcrafts including beer making, wine, spirit and other arts. In addition to craft beer, Jeremy enjoys photography, graphic design, music and fine art activities. FADED TRADE OF HANDCRAFTED BARREL MAKING; STRENGTHENS BACK IN THE HUDSON VALLEY, NY. ​I finally had an opportunity to interview my first local craft business owner and was super excited about doing this interview today. He is someone that takes as much historical handcrafted passion and pride in his work, as I do with making handcrafted beer. We could really relate to each other’s historical trade passion even though we are working in different crafts. 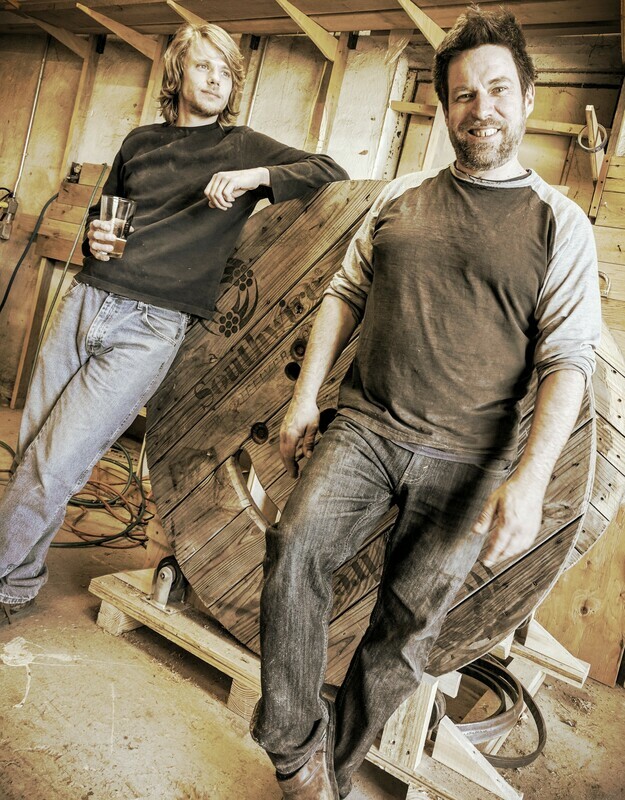 John Cox is the owner of Quercus Cooperage located in the Hudson Valley, NY. Settled in a small workshop together with his assistant Matt Gordon. The shop is filled with vintage shop tools and prototype barrels, just a short 20 minute drive from our Brewery, in a small hamlet called High Falls, NY. Sure – he can purchase high-end equipment to take wood production to a much faster manufacturing level, but why would you? Cooperage (barrel making) is a unique hand skill. If you don’t understand the history; don’t have patients; can’t work with hand tools; then you can’t make a quality end product, as a cooper. That is how I feel about craft beer making, and that is how I can relate to John’s journey. He is an entrepreneur that masters the field of cooperage where there are currently so few in existence. John started his trade in fine wood working, building high end cabinets over 20 years ago in Philadelphia and New York. Working in cabinetry requires patients, as well as skill in fitting pieces together. After 9/11 , he relocated to the Hudson Valley, it was here that he learned that a barrel shortage exists in the distilling business. He increasingly grew interest in the cooperage trade, as it was a specialty extension in the wood working field, and he already is a highly skilled cabinet maker. It was in the Hudson Valley he decided to take his trade to a higher level. The cooperage field is historical and fascinating, and much of the history includes barrel making right here in the Hudson Valley, NY. 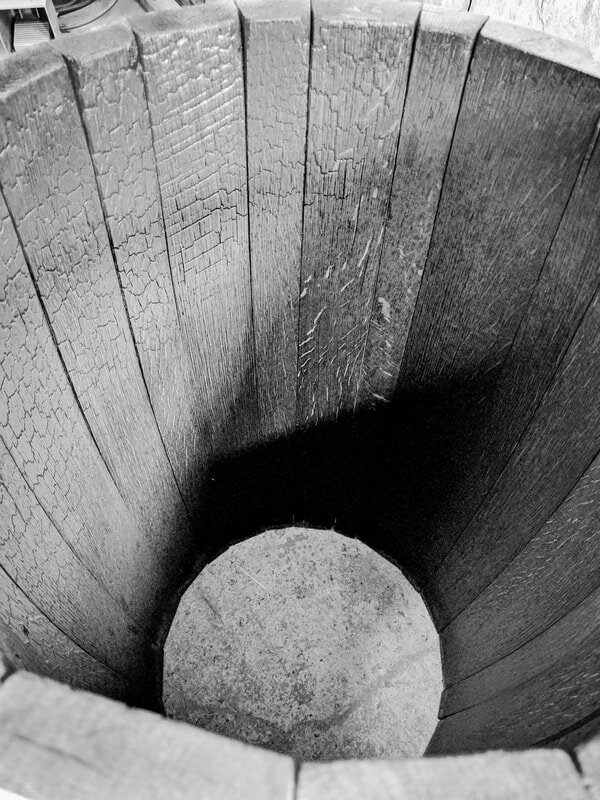 Barrel making goes back in history, as early as Christopher Colombus coming to find America and even earlier. To transport and store liquids, there was only one sensible way; with wood. 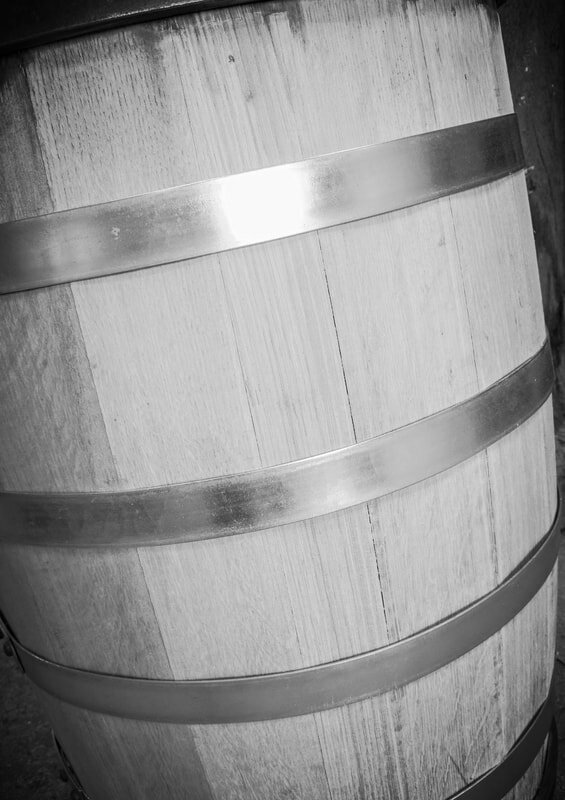 At one time, wooden barrels were only held together with wood itself -no glue, no metal. Eventually metal rims replaced wooden bindings to form a tighter fastening seal, with more durability. But even barrel making today, still goes by the old construction method. It has to be hand crafted. Each wooden piece needs to attach with each other and properly seal liquids; no glue can be used. 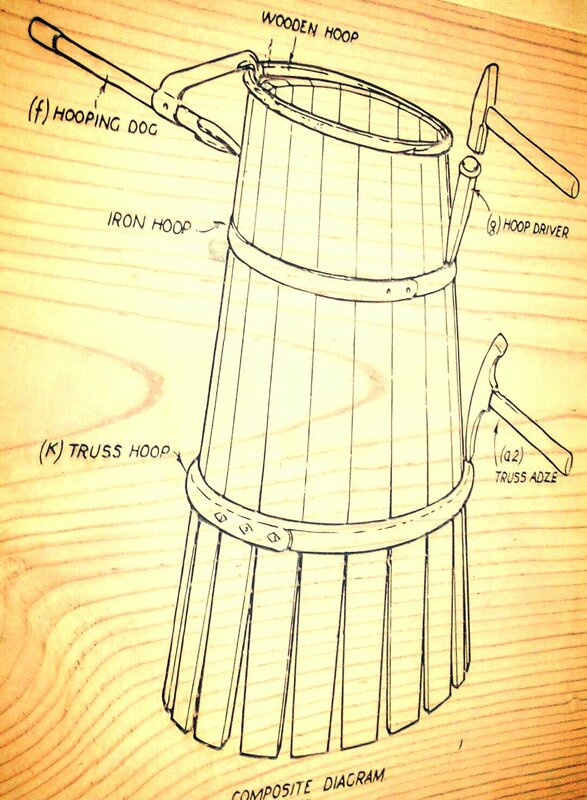 At one time in the Hudson Valley, barrel making was needed in abundance. Cement made in nearby Rosendale, NY was transported with barrels. 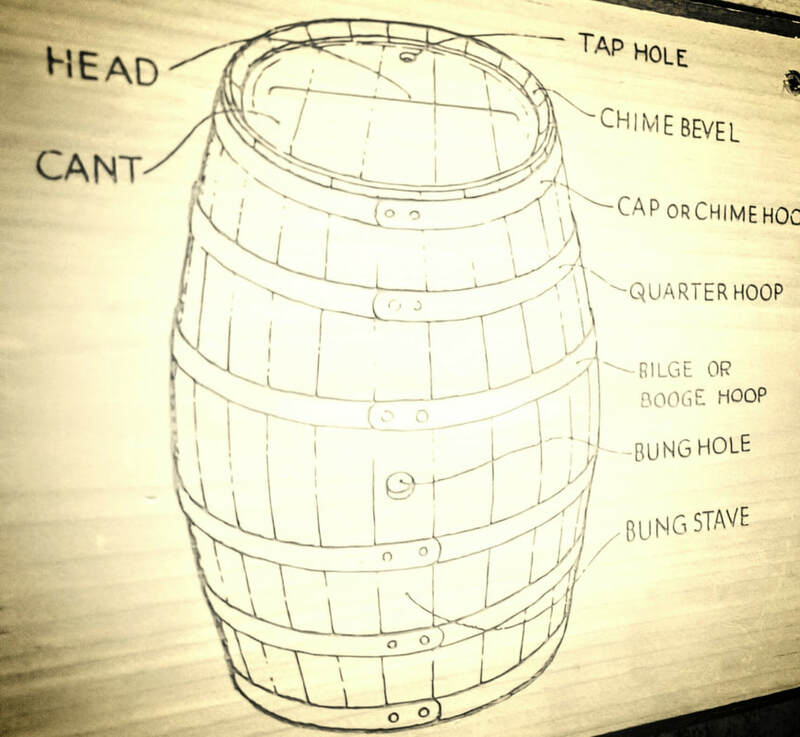 Beer, wine and distilleries needed barrel makers. Wherever there was a sawmill in the Hudson Valley, coopers were working right next door making barrels. Much of the trade ceased with the prohibition of alcohol. Breweries closed, distillers went out of businesses, there was barely any work for the trade as a cooper. The trade further faded away as industries made metal and plastic replacements of choice. Today in 2017, New York State is growing more than ever in the beverage manufacturing businesses. Distilleries, Cideries and Breweries are popping back up. Wineries continue to open and thrive. Manufacturing is slowly making a comeback in New York State. Plastic and metal containers have there limitations to replace the value of an oak barrel. John is one of less than five coopers in New York, and perhaps one of less than 30 in the United States. It is a trade where understanding wood and mathematics come to a whole higher level. Oak has been the historical barrel maker’s medium of choice as for durability and impermeability for long term storage as opposed to other hardwoods such as, Hickory and Maple. But it has to be prepared in a way to allow for its own natural wood sugars to be exposed for his customers. 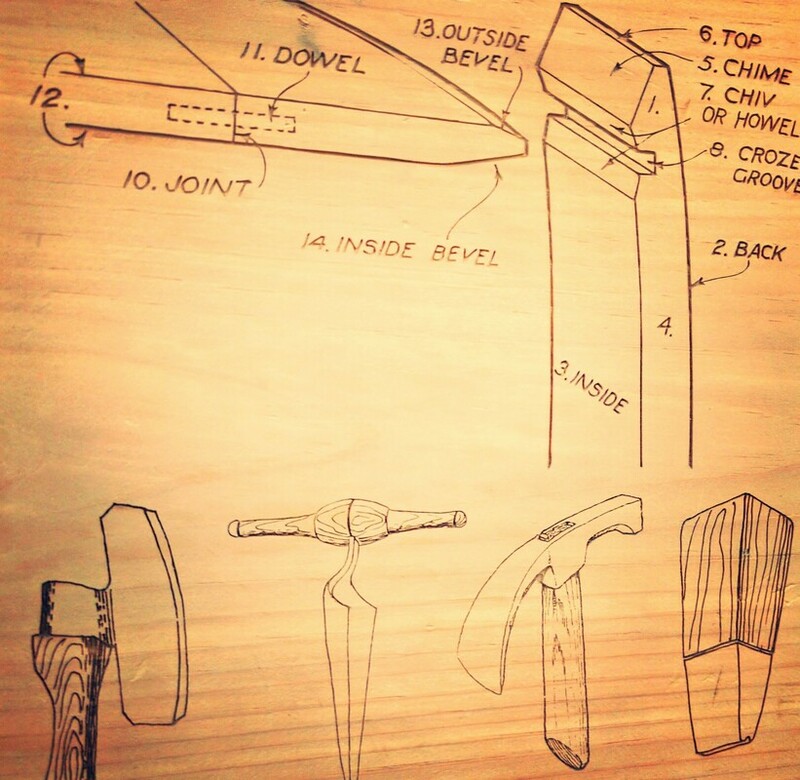 The combination of understanding wood, understanding how to construct a barrel, understanding the history of barrel making, toasting and charring the wood to expose natural wood sugars is what makes John in the forefront as handcraft master of his trade. New York State is abundant in White Oak. John specializes in 100% exclusive New York State oak wood made barrels. This adds to compliment 100% of locally made wines, spirits and other beverages. Please visit his business website: www.Qcooperage.com and Facebook. 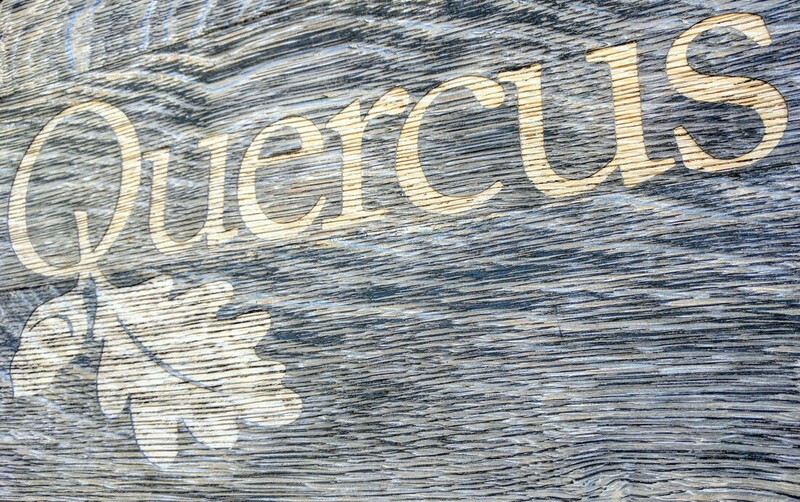 Quercus Cooperage is only a 20 minute drive from our Brewery Taproom, feel free to be in contact. They will offer tours and trade demonstrations starting in the Summer 2017.